Origins of the Two Minute Silence. Throughout the Great War, whenever South African Troops suffered losses a period of silence was observed at noon in Cape Town. In May 1919 Australian journalist Edward Honey suggested a five minute silence. ‘In the hearts of our people there is a real desire to find some lasting expression of their feeling for those who gave their lives in the war. They want something done now while the memories of sacrifice are in the minds of all; for there is the dread – too well grounded in experience – that those who have gone will not always be first in the thoughts of all, and that when the fruits of their sacrifice become our daily bread, there will be few occasions to remind us of what we realise so clearly today. The proposal was discussed by the War Cabinet and a ‘Service of Silence’ was approved for Armistice Day, but they amended the duration of the silence to one minute. The proposal was taken to the King who after deliberation amended the period to two minutes. 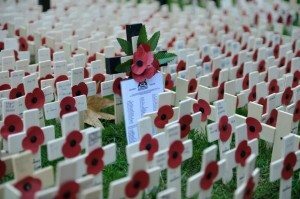 ‘Tuesday next, November 11, is the first anniversary of the Armistice, which stayed the world wide carnage of the four preceding years and marked the victory of Right and Freedom. I believe that my people in every part of the Empire fervently wish to perpetuate the memory of the Great Deliverance, and of those who have laid down their lives to achieve it. To afford an opportunity for the universal expression of this feeling, it is my desire and hope that at the hour when the Armistice came into force, the eleventh hour of the eleventh day of the eleventh month, there may be for the brief space of two minutes a complete suspension of our normal activities. No elaborate organisation appears to be required. At a given signal, which can easily be arranged to suit the circumstances of the locality, I believe that we shall gladly interrupt our business and pleasure, whatever it may be and unite in this simple service of Silence and Remembrance’. 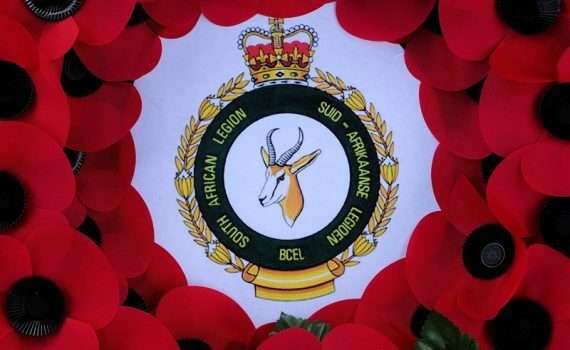 This Royal British Legion film was produced for use over the Remembrance period, and features The Last Post, followed by two minutes of silence while a selection of images are shown, and closes with The Reveille.